Vray Materials 3Ds Max & Maya. Archi-new - Free Dwg file Blocks Cad autocad architecture. Archi-new 3D Dwg - Free Dwg file Blocks Cad autocad architecture.  Home › programs › Vray Materials 3Ds Max & Maya. Vray Materials 3Ds Max & Maya. 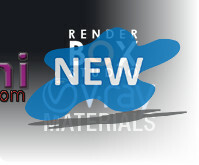 Below is our Free VRay Material Library where you can download free VRay materials for 3Ds Max & Maya. All of our VRay materials below are free to download, share, and use in your 3D Renders and 3D Visualisations. All materials have been created for use in professional 3D Visualisations and arch viz projects and are of the highest quality.